RedCliff Ascent would like to welcome Stacy Sturtevant as our new Field Director. 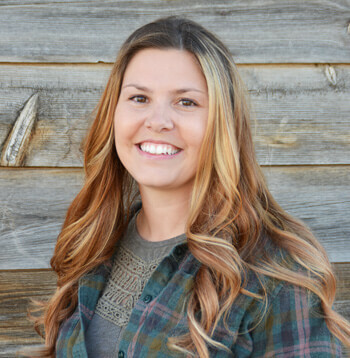 Stacy has a Bachelor’s Degree in Recreation Management and Youth Leadership. In addition, she has worked outside at several outdoor guiding companies and resorts before coming to work for RedCliff Ascent in early 2013. Stacy has also worked for other young adult transition programs. In Stacy’s position as Field Director, she has a variety of different responsibilities. These responsibilities include working directly with field staff and students out in the wilderness, as well as helping to plan logistics during meetings, or helping to train new field staff members. Stacy also has ambitious plans for assisting field staff to be as effective as possible. While Stacy has experienced a great deal of professional success in moving from field staff to field support manager to field director, the achievements that Stacy finds the most gratifying are those that she can share with the students. For example, Stacy shared an experience she had with a group of students who set a goal to hike marathon. In the field, a marathon is hiking with packs for 26.2 miles in 24 hours. This group was not known for hiking, so they wanted to push themselves. We hiked 16 miles the first day. The next day we woke up at 5 am to finish. It was freezing and rainy. The students didn’t let it phase them. With no push from staff, they got up, packed up, and headed out for their last 10 miles. The group finished with just 10 minutes to spare. The sense of personal satisfaction and pride that the students gained from that experience exemplify why Stacy loves her job. Stacy has already proved to be a valuable and insightful member of the RedCliff Ascent family. Because of the passion and experience which she brings to her work, we look forward to the positive contributions that she will make in her new role.